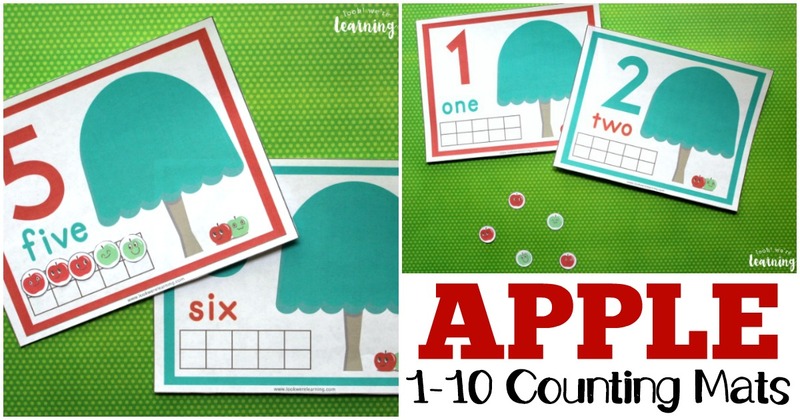 Printable Apple Tree 1-10 Counting Mats - Look! We're Learning! 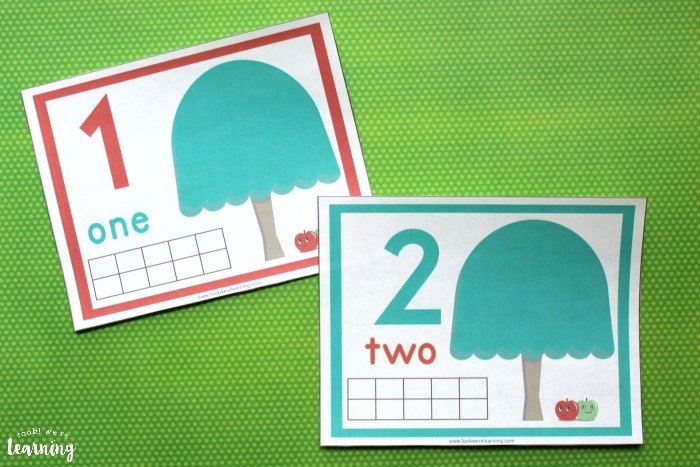 Learning to count and make ten can be a tricky concept for preschoolers. It’s one thing to recite the numbers in order from one to ten, but it’s another to understand that you can add two numbers together to equal ten. 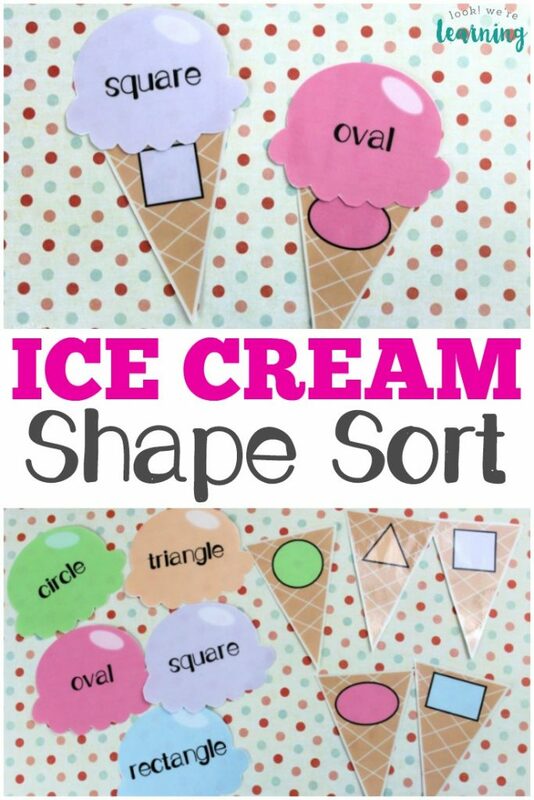 Especially since there are so many ways to make ten! 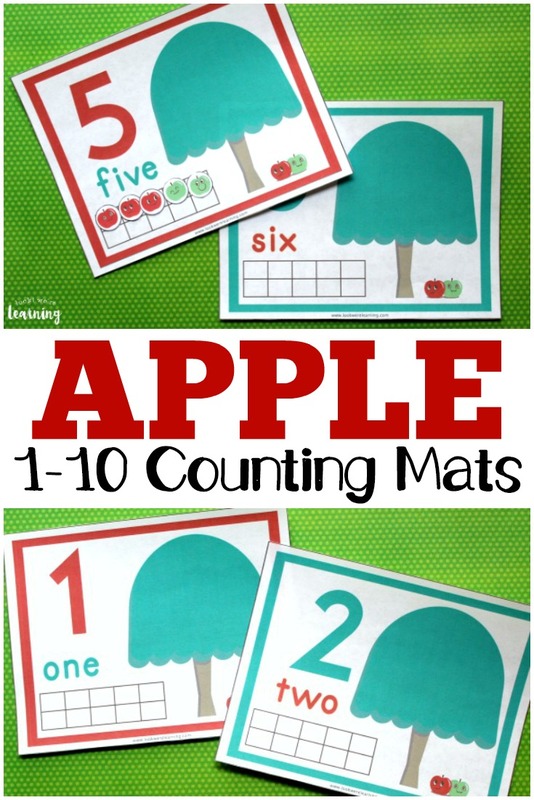 So I thought these fun apple tree 1-10 counting mats would be a fun way to bring this concept to life for preschoolers! 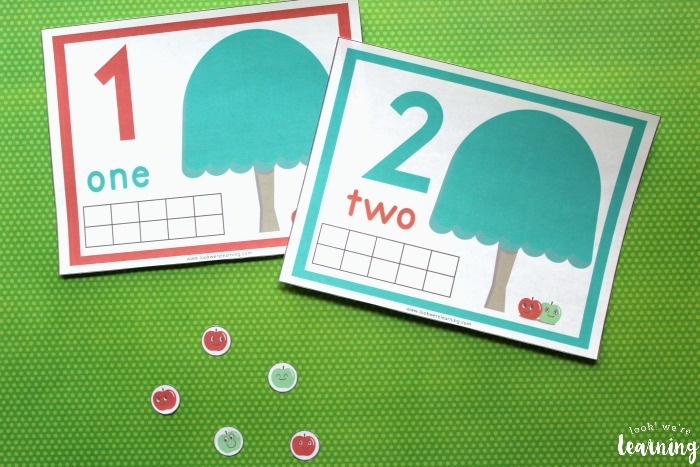 Unlike our printable apple tree counting mat, which focuses on groups of four, these printables help children visualize the amounts that make up the numbers from one to ten. 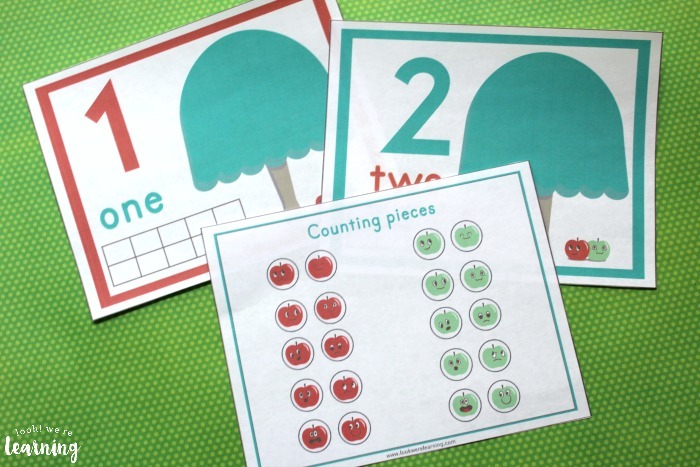 Read on to see how to get your copy of these counting mats for your students! 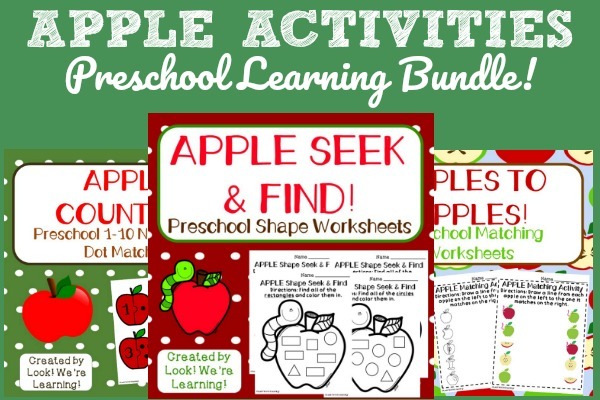 And, for more apple learning fun, don’t forget to check out our Apple Activities learning bundle for preschoolers! There are ten counting mats in all in this set: one for each number from one to ten. There are also red and green counting pieces included. If you’re using this with a preschooler, you might find it best to cut out the apples yourself. But if you decide to let the kids do it, be sure to use child-safe scissors. Apple mini erasers would also be great for this! Each of the counting mats shows the numeral, the number word, and a blank ten frame. 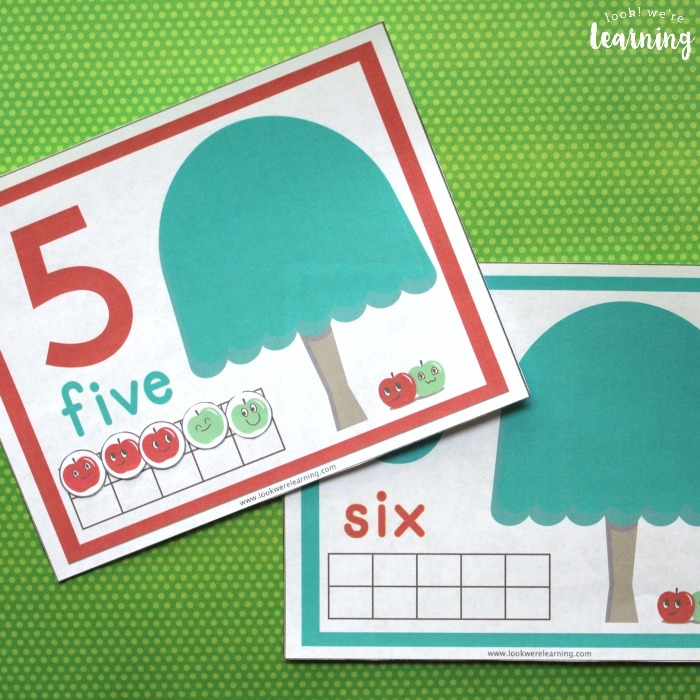 So students can use the counting pieces to fill in the ten frame and show the correct number of apples for each numeral. 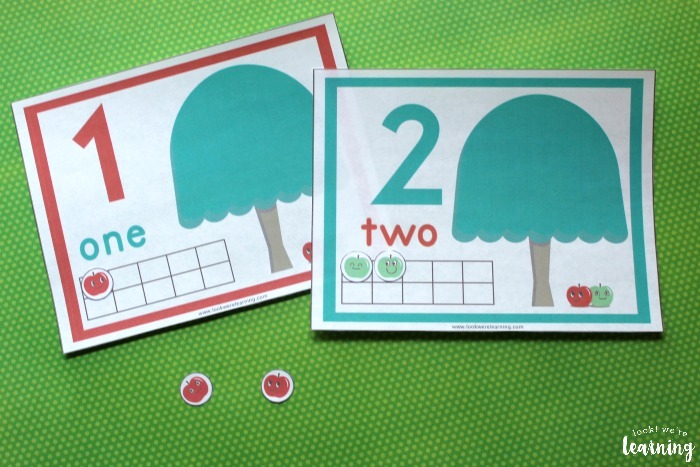 Since the apples come in both green and red, students can combine them to show that one plus one equals two, three plus two equals five, and so on. 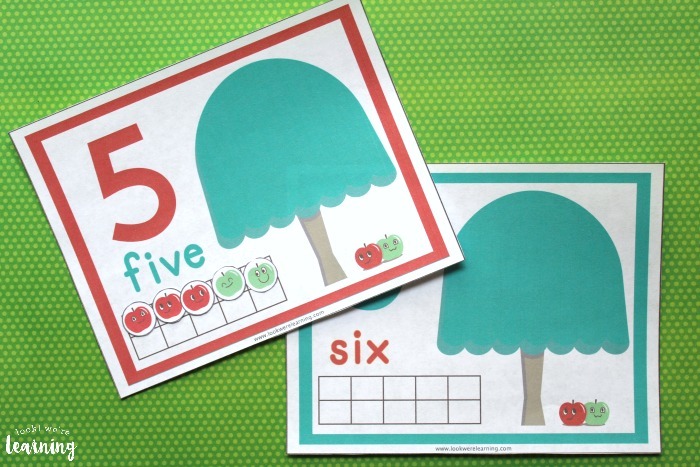 You can even show them how to subtract by completing the ten frame and then taking apples away one by one. 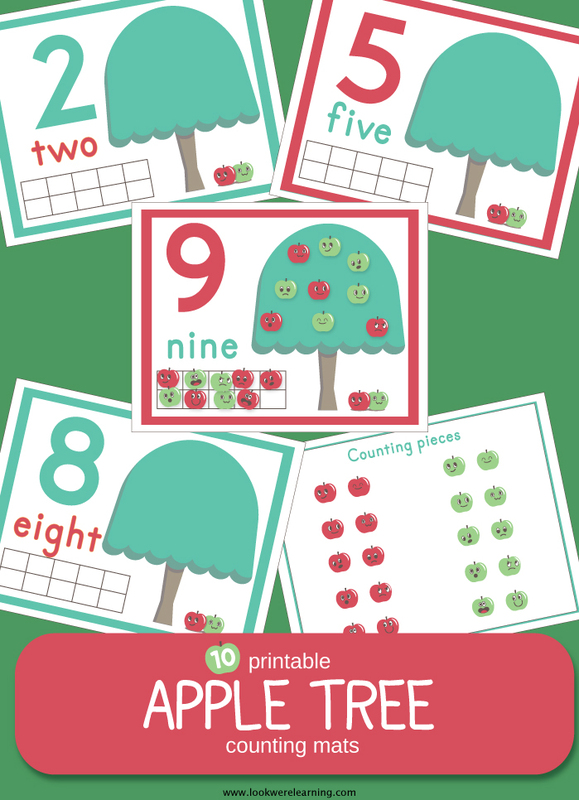 Scroll down to get your copy of our Printable Apple Tree 1-10 Counting Mats! 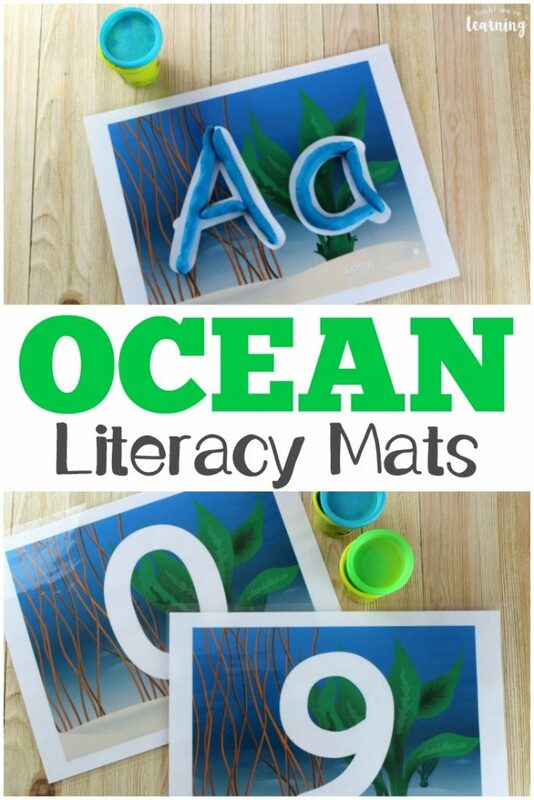 Don’t miss these other preschool learning activities for kids! 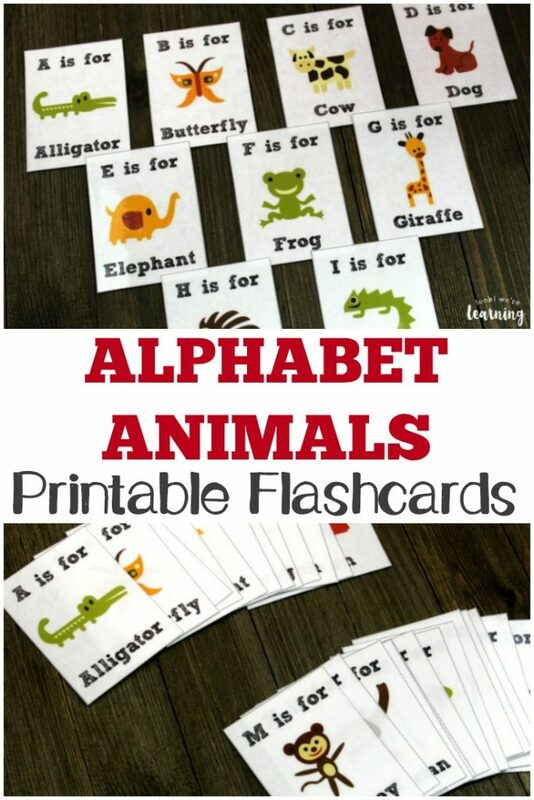 See even more ways to make learning fun for early grades on my Learning for Little Ones Pinterest board! 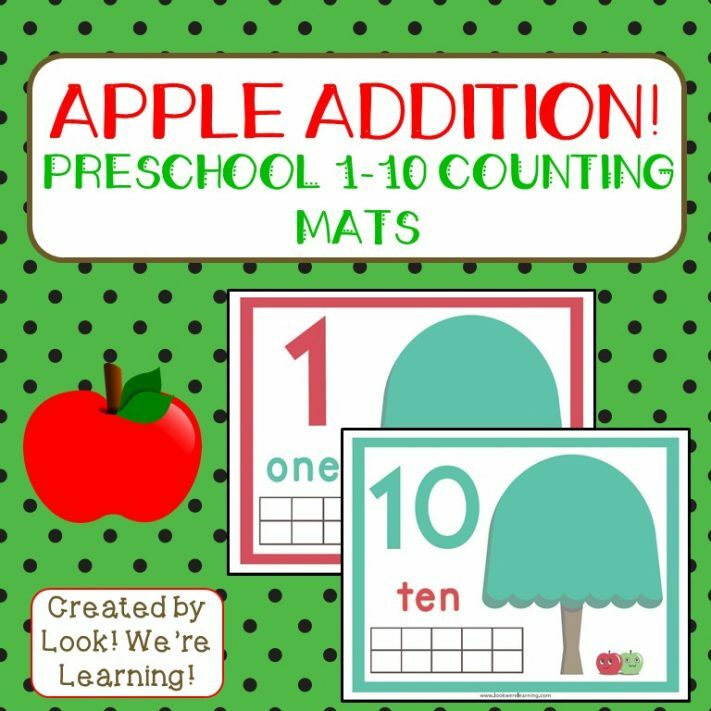 To get your copy of our Apple Addition: Apple Tree 1-10 Counting Mats, click the image or the link below to visit our Store!